Steel cord standard, Kevlar cord optional. For high speed power transmission and high load conveying applications, used widely in ceramic industry.. Outstanding abrasion, tensile,oils,fuels, heat resistance and tear strength. 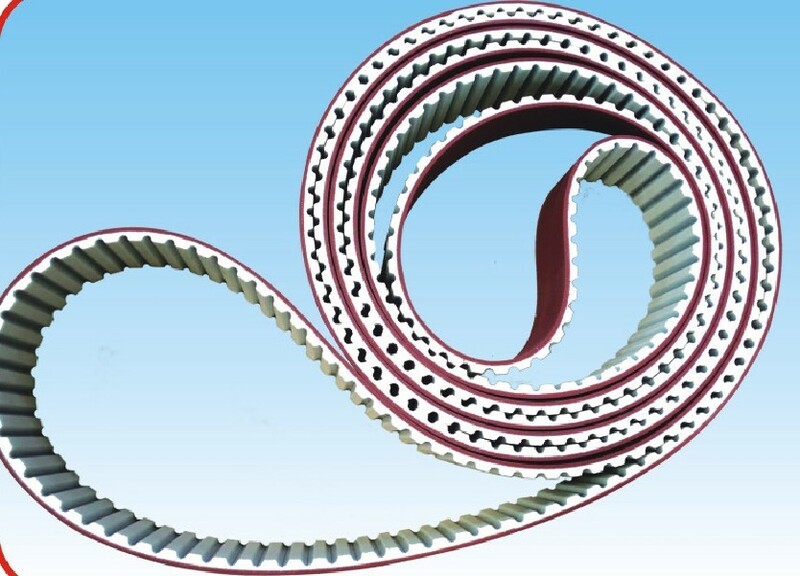 The data of specific width of each types and lenghts of timing belts is available as required. Special coating on customer's request.It's can made with PU,PVC,Rubber,foam,sponge,guide,cleat,etc.